STICHTING CARE FOR NATURAL IS A SUBSIDIZED ORGANIZATION, WHICH IS THEREFORE COMPLETELY DEPENDENT ON DONATIONS FROM INDIVIDUALS AND BUSINESSES. WE NEED YOU TO PUT OUR IDEAS INTO PRACTICE AND HELP TO ENABLE MORE SUSTAINABLE DEVELOPMENT PROJECTS IN THE GAMBIA. AS A SPONSOR OF OUR FOUNDATION YOU CAN REALLY MAKE A DIFFERENCE! Through the website of Stichting Care for Natural you can support our activities in different ways, for example by financing all or part of one of our projects, sponsoring our actions, or by making a contribution to our emergency cash in favor of families in acute distress. All our projects basically support the same goal: uplifting the lives of the people of The Gambia from poverty. The current open projects that you can support can be found here (link naar nieuw onderdeel Projects and Actions). For more information about any of these projects please use our contact page (nieuwe engelstalige contactpagina). Stichting Care for Natural initiates various actions to support this important work. Actions concern short term initiatives like organizing sponsored walks or runs, organized bike tours, sponsorship during races, etc. The current actions you can support can be found here (link naar nieuw onderdeel Projects and Actions). But perhaps you have some ideas yourself that you would like to share with us. We love to read those through our contact page. Besides giving a contribution to one of our projects or actions, it is possible to do a repetitive donation via direct debit. Many of our supporters donate for example, monthly or annually a fixed amount in favor of Care for Natural, where the board can decide the destination for the amount received. 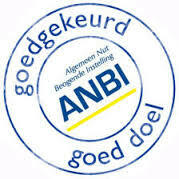 Besides that it is also possible to make a donation through our bank account NL63RABO0111774446. Thinking about what you want when you’re not around anymore, It remains a difficult subject. Whether you are very wealthy, or have a small savings account, for everyone comes the time to think about what to do with it. If you are considering to draw up a will, in addition to your family and other loved ones you can also record a charity in your will. With the amount you assign to Stichting Care for Natural, you help us to achieve our goal in a structural manner, by empowering the current and future generation of The Gambia through structural creation of work. In that way you even help out the population of The Gambia after you passed away.